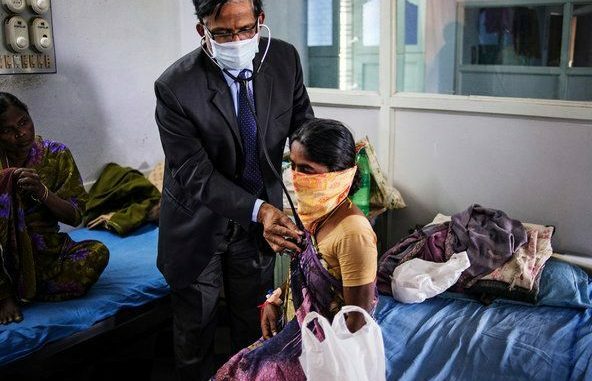 What is India’s plan to eliminate TB? Though the Revised National Tuberculosis Control Programme (RNTCP) has treated 10 million patients, the rate of decline has been slow. Providing universal access to early diagnosis and treatment and improving case detection were the main goals of the national strategic plan 2012-17. But RNTCP failed on both counts, as the Joint Monitoring Mission report of 2015 pointed out. Going by the current rate of decline, India is far from reaching the 2030 Sustainable Development Goals — reducing the number of deaths by 90% and TB incidence by 80% compared with 2015. Yet, the latest report for TB elimination calls for reducing TB incidence from 217 per 1,00,000 in 2015 to 142 by 2020 and 44 by 2025 and reduce mortality from 32 to 15 by 2020 and 3 per 1,00,000 by 2025. The other priority is to provide anti-TB treatment — irrespective of where patients seek care from, public or private — and ensure that they complete the treatment. For the first time, the TB control programme talks of having in place patient-friendly systems to provide treatment and social support. It seeks to make the daily regimen universal; currently, the thrice weekly regimen is followed by RNTCP, and the daily regimen has been introduced only in five States. There will be a rapid scale-up of short-course regimens for drug-resistant TB and drug sensitivity testing-guided treatment. In 2013, India “achieved complete geographical coverage” for MDR-TB (multi-drug-resistant tuberculosis) diagnosis and treatment; 93,000 people with MDR-TB had been diagnosed and put on treatment till 2015. Though Bedaquiline, the drug for people who do not respond to any anti-TB medicine, is provided in six sites in the country, the number of beneficiaries is very small. The report envisages a countrywide scale-up of Bedaquiline and Delamanid. In a marked departure, the report underscores the need to prevent the emergence of TB in susceptible populations. One such segment is those in contact with a recently diagnosed pulmonary TB. Incidentally, active-case finding is already a part of the RNTCP programme but rarely implemented. It wants to increase active case finding to 100% by 2020. Since RNTCP expenditure has increased by 27% since 2012 and is inadequately funded, the Ministry proposes to increase funding to ₹16,500 crore. Acknowledging that the business-as-usual approach will not get the Health Ministry anywhere close to the goals, it has earmarked critical components that will be addressed on priority. These include sending customised SMSes to improve drug compliance, incentivising private doctors to notify cases and providing free medicines to patients approaching the private sector, facilitating nutritional support to TB patients, including financial support, rewarding States performing well in controlling TB, and using management information systems to monitor all aspects of TB control. “The ultimate impact of this national strategic plan will be transformational improvements in the end TB efforts of India,” the report says. It plans to take a “detect-treat-prevent-build approach” in its war against TB. This article is written by R. Prasad.